I'm so excited for you to join me in a little blog hop! Ready to be TRICKED??? My trick is a life-saver in my Digital 1:1 classroom! 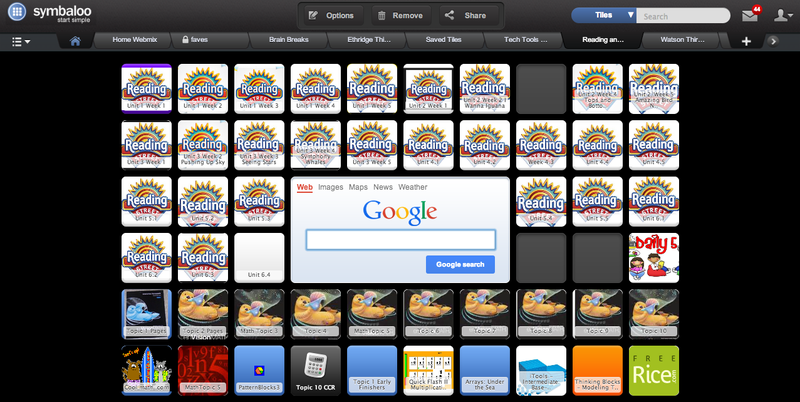 Each of my students has my classroom Symbaloo page set up on their toolbar. My one-stop spot for all things for Mrs. Watson's class! I love that I can have a set of bookmarks for my kids with visual cues to the places we go to frequently. I am in total control of what is on the screen! I can add and take away very quickly...update the page...and BAM! Kids have a website ready to go! You are looking at my teacher page. Notice the tabs at the top?? You can create as many "Webmixes" as you like! 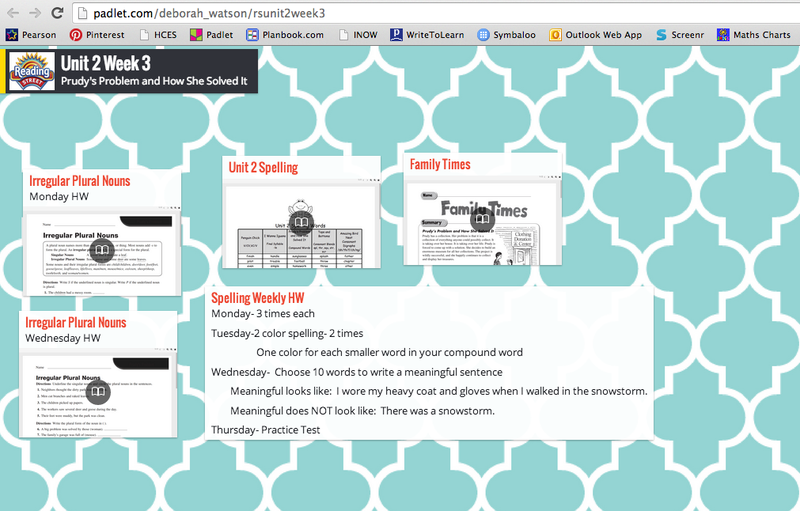 I have a tab where I save my "tiles" for future use, a tab of tiles for Reading and Math only, and even a tab for all the cool Tech Tools I read about and want to remember to try later. I created this set of tiles last year each week for my Reading & Math Homework. The beauty is....I can keep the screen uncluttered for the kids, but I have my work saved for the next school year! 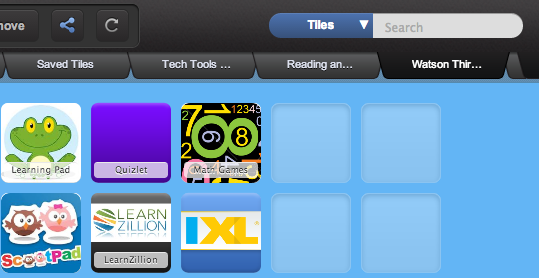 Each of these tiles is really a link to a Padlet page I created to hold whatever I want the kids to have for the week. Notice the hole at the top??? Yep, that is the spot for this week's tile. Next week, all I have to do it swap out the tiles for the kids. I have attachments, extra copy of the spelling list, etc. 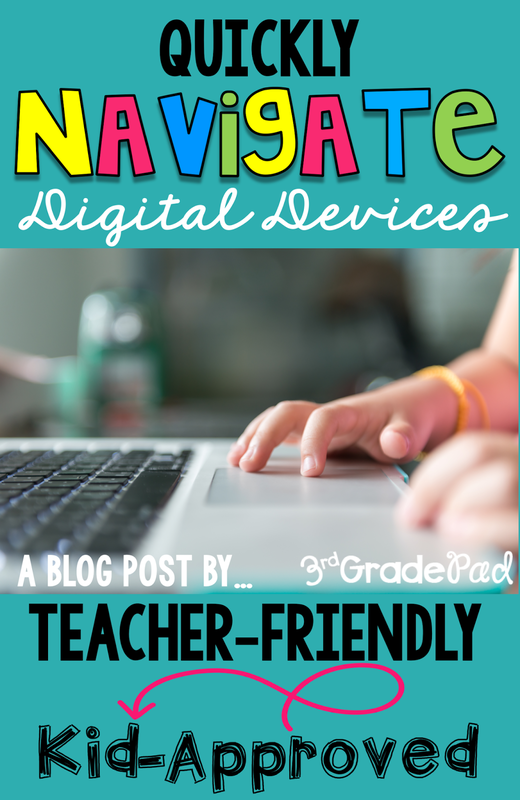 Don't know about Padlet? Well, stay tuned! I'll be blogging about that one soon! Here is what is behind my math tile. 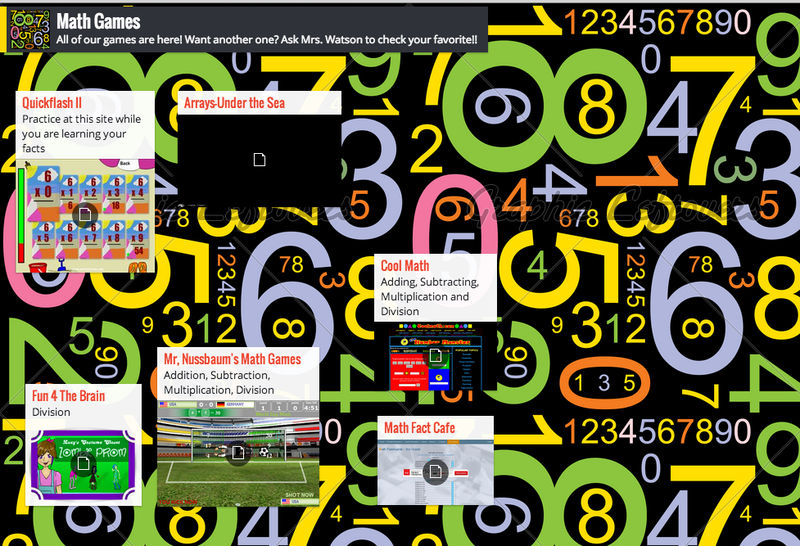 Lots of links for Multiplication stuff! So, it is super easy to set up! 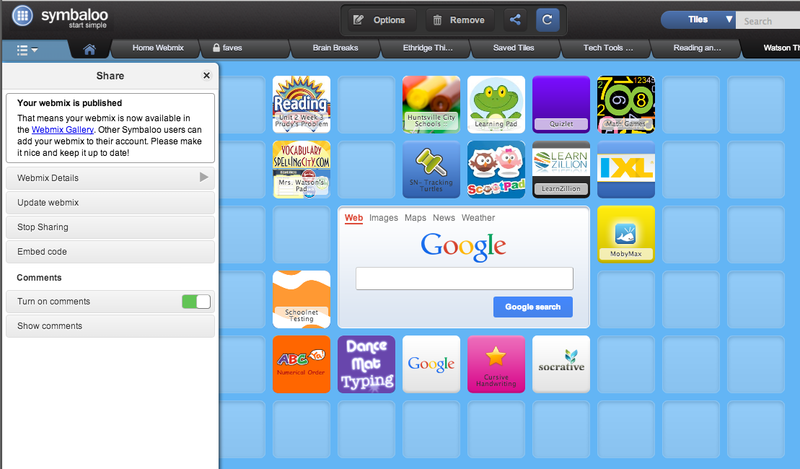 Just go to Edu Symbaloo and create an account. Then you will have your blank slate to start adding tiles. 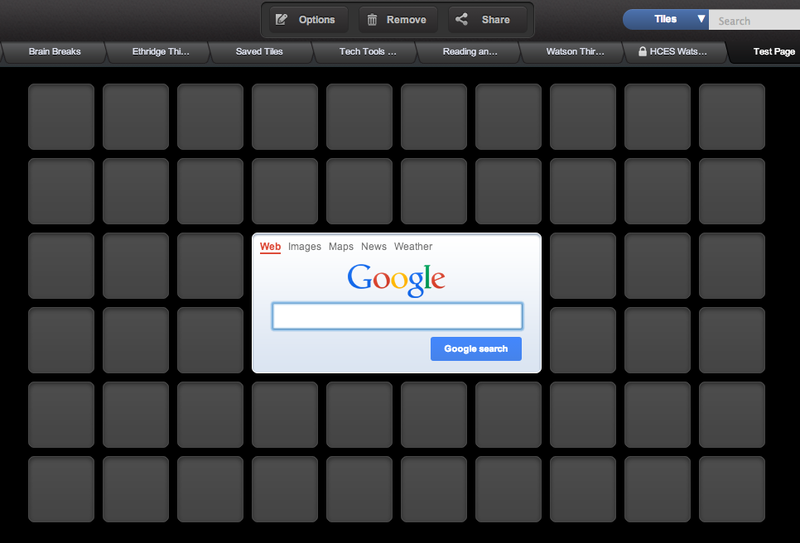 Click on any of the tiles and you'll get this pop-up. 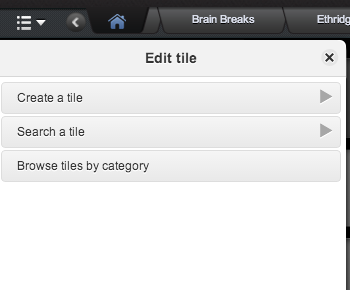 You can search for tiles that are ready to go or create your own. 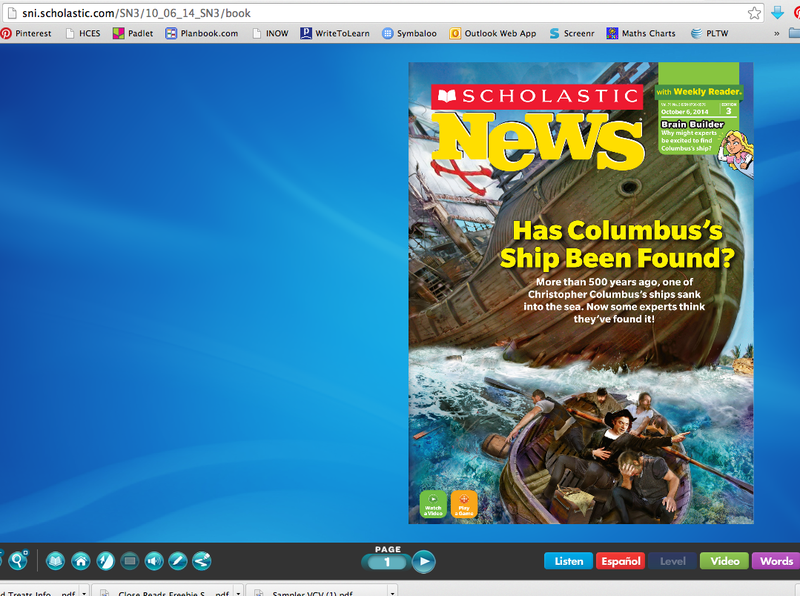 Let's say you want a link to your Scholastic News Issue. That won't be a ready to go tile. You'll have to create it. I have my issue up on my screen. I just need to copy the URL. 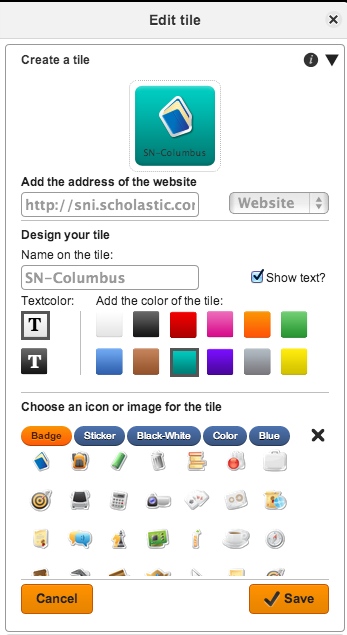 Drop in the URL, name the tile, show the text-or not, choose a color of the tile, and you can add some clips that are readily available. Or you can do like I did for my Reading Street tile. Upload your own PNGs and make it really snazzy and eye catching! Caution though! 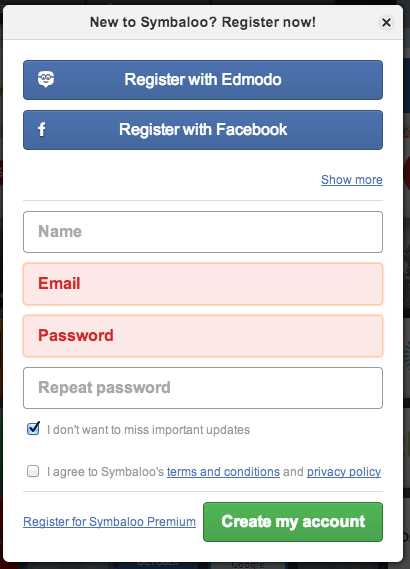 You will need click on the Share icon and "Update Webmix" each time you change your page. YOU will see it on YOUR page, but the kiddoes will NOT! 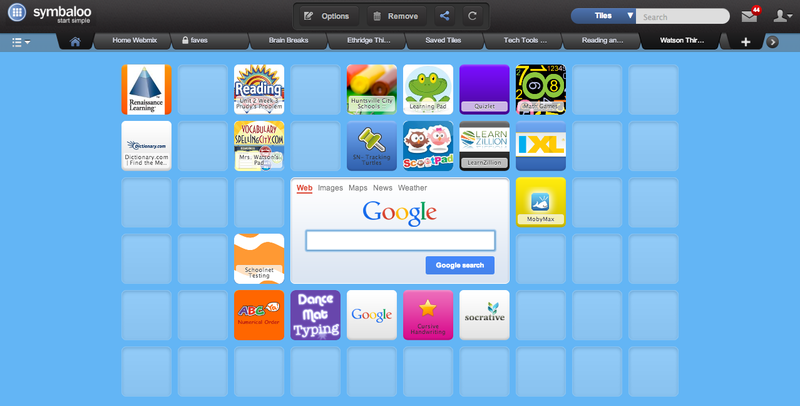 Hope my little trick will inspire you to create your own EduSymbaloo! Now, how about a treat??? 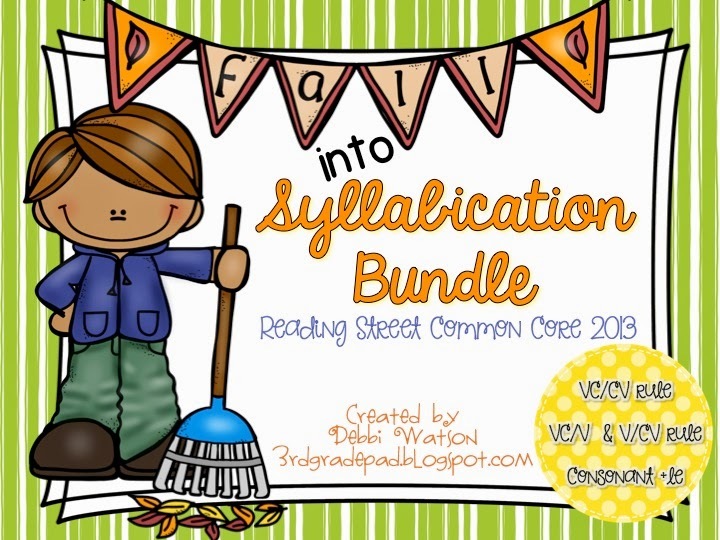 To kick off your fall centers, how about my "Fall Into Syllabication" bundle! I've marked it 50% off while the hop is live! Hope on over to my store and check it out by clicking HERE!! Hope you enjoy the Tricks and Treats! 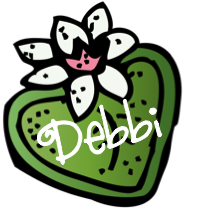 Debbi, thanks for the post; will have to come back for your Padlet post.